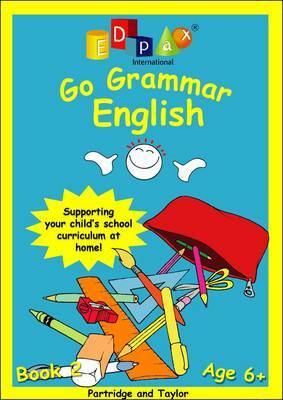 EDpaX "Go Grammar English" full colour pupil workbooks support the Primary School curriculum at home. The books aim to motivate, encourage and reinforce the English Language skills that children are being taught at school. Through a variety of topics each book reinforces different aspects of the English language. Each page has an explanation for the parent and an instruction for the child. Ideal for any parent wishing to support their child's school curriculum at home.